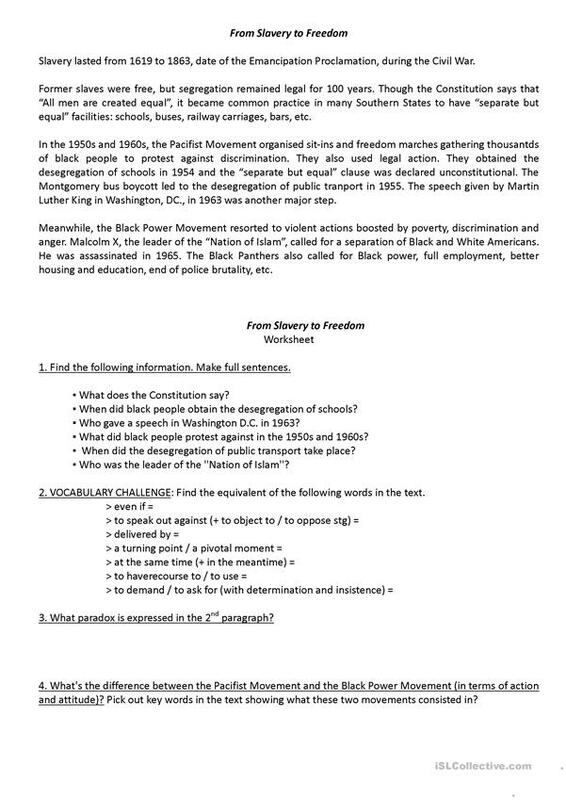 A short text exposing the main elements of the segregation in the USA. A reading comprehension worksheet is also available in the file, but there is not a solution. The present downloadable handout is meant for high school students, elementary school students and adults at Pre-intermediate (A2) and Intermediate (B1) level. It is excellent for honing your pupils' Reading skills.